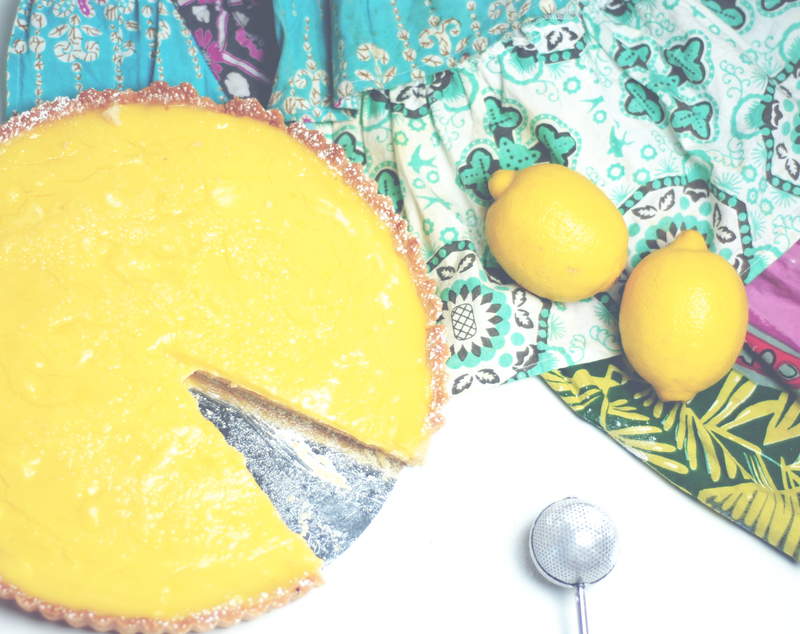 You know what they say about when life gives you lemons… make a lemon curd tart! 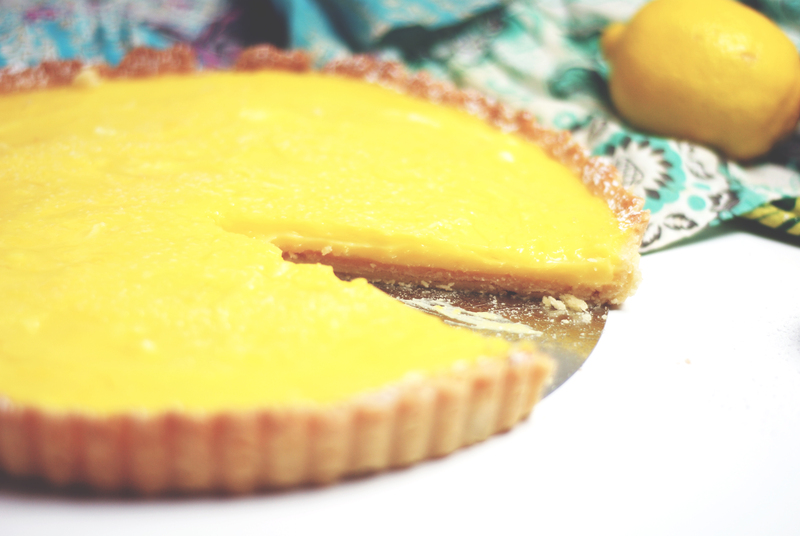 My mom made this tart for me on my 22nd birthday (which, admittedly, was a few years ago now) and it still reigns supreme as the best lemon tart I’ve ever tasted. I decided to replicate the recipe with some California backyard Meyer lemons this past weekend. Even though I consider myself a fairly experienced baker, this recipe was surprisingly tricky and even had me ready to throw in the towel and give up. In true form, I powered through and the end result was well-worth all those frustrating hours and late-night Target runs! 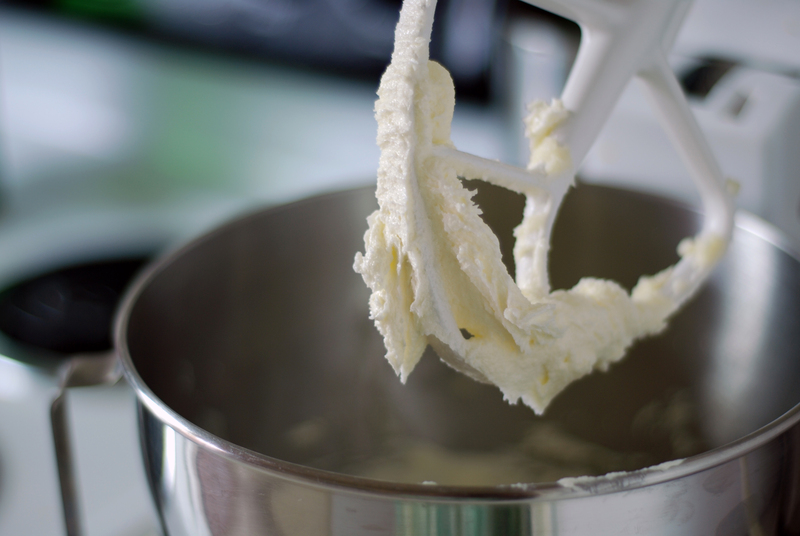 Beat butter and sugar together with an electric mixer until creamy. Add salt, vanilla extract, and egg yolk and mix until completely combined. Add flour and mix well until there are no dry patches. Form dough into a ball, wrap in plastic, flatten into a disk, and chill in refrigerator for at least 4 hours. 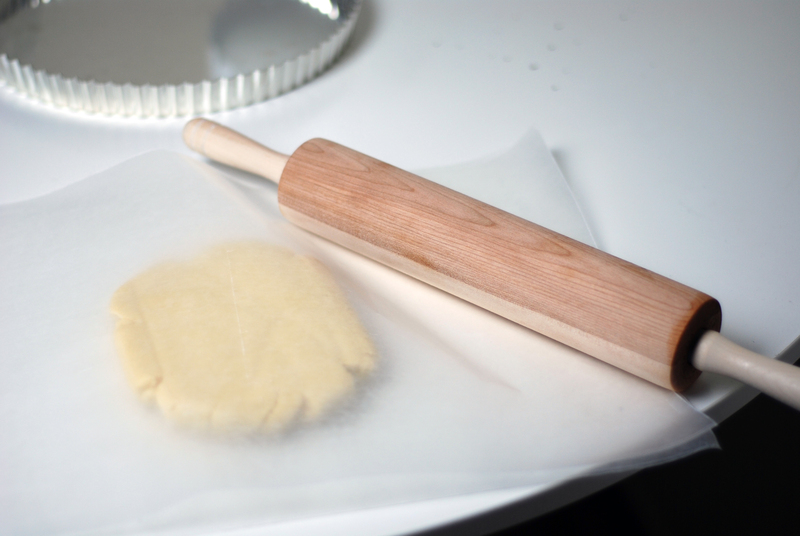 When ready, remove disk of dough from plastic wrap and place between two sheets of waxed paper. Roll out dough until it is 1/4 inch thick, and carefully place into a tart pan, rolling over the edges with a rolling pin to shape. Pro tip: I had to do this step three times, because the dough is so fragile it will crumble if you look at it the wrong way. I would recommend rolling out the dough and placing it in the pan without removing the wax paper. Refrigerate again for 30 minutes until to dough has firmed up and taken the shape of the pan. Then carefully remove the wax paper and place the hardened dough back in the pan. Bake for 15 minutes at 375º until shell has a light golden color. 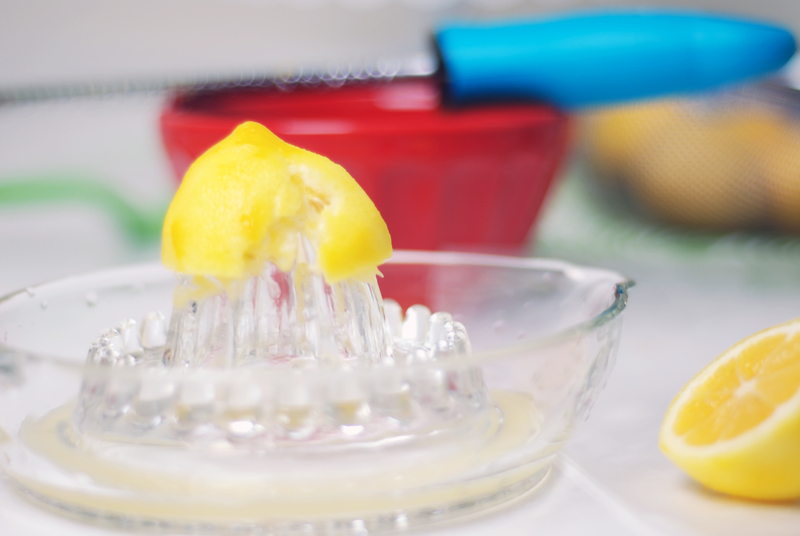 Grate the zest of one lemon into a small bowl, and juice all the lemons. You should have about 1/2 cup of juice. Beat eggs, yolks, milk, sugar and salt with a spoon until just mixed. 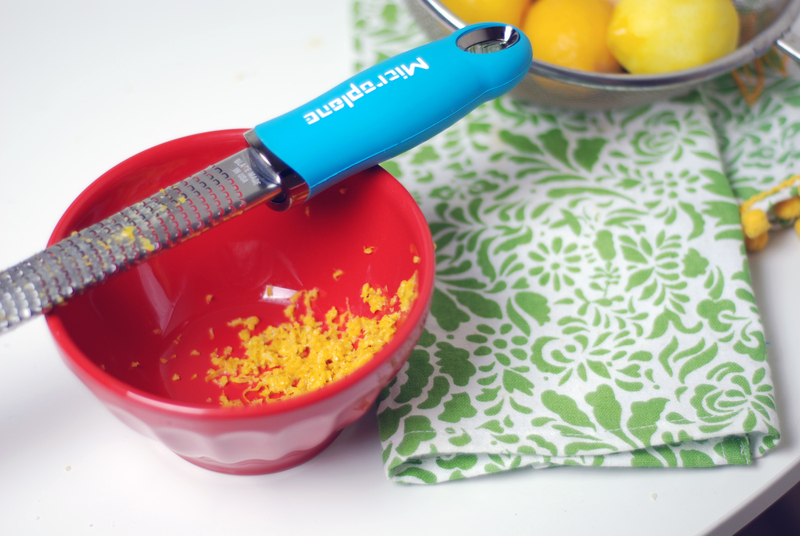 Stir in the lemon juice and lemon zest, add butter, and transfer to a small saucepan. Cook over medium heat, stirring constantly until curd thickens and can coat the back of a spoon. Do not boil or the eggs will curdle! Pro tip: stir for about 1-2 minutes after the butter completely melts for optimum consistency. When thick, pour into a bowl and refrigerate. 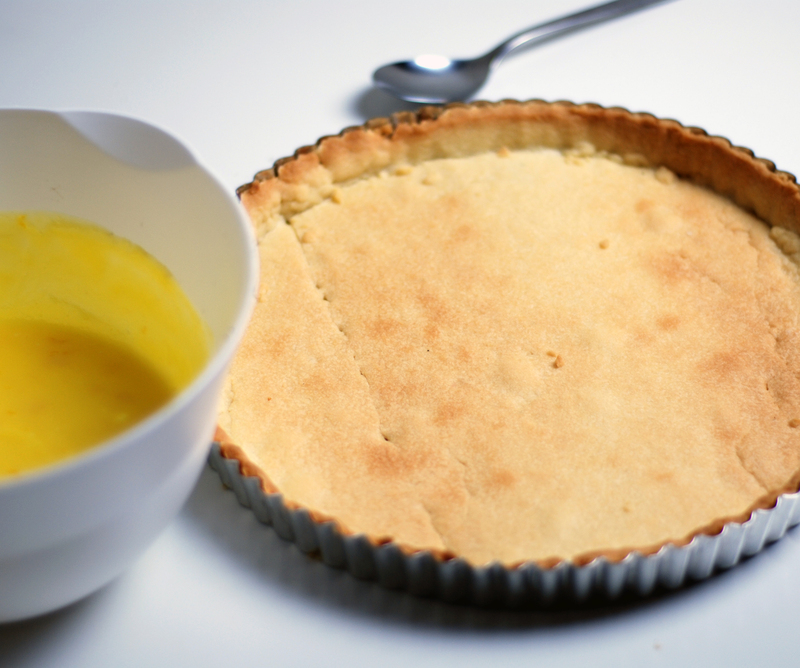 When curd is cooled, spoon it into tart shell and bake in a preheated 375º oven for 12-15 minutes until curd is “set.” Cool and sprinkle with powdered sugar.